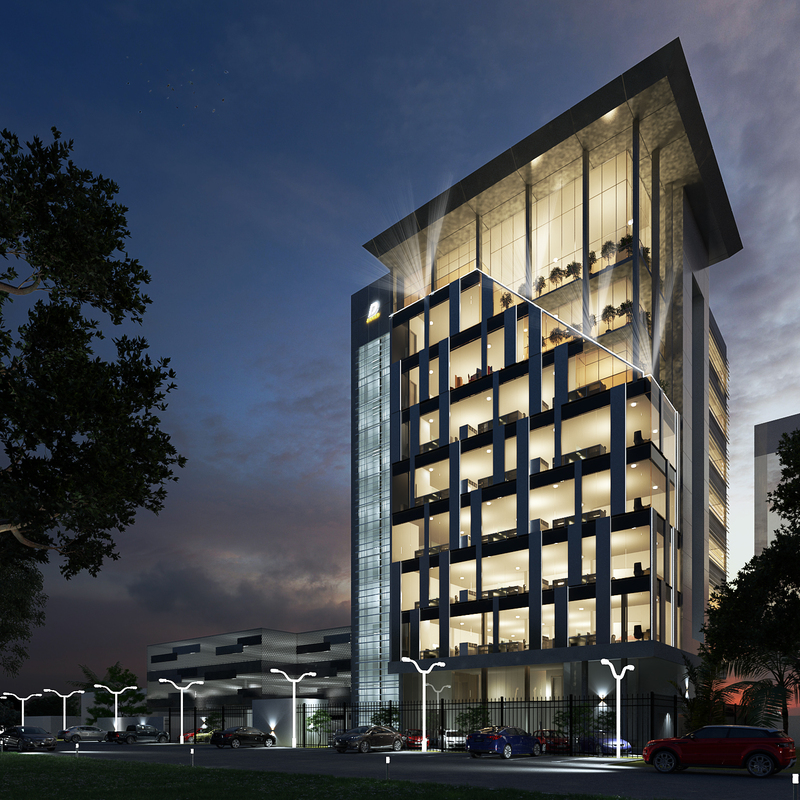 The project is an office development for an oil servicing firm which is to serve as their corporate head office. 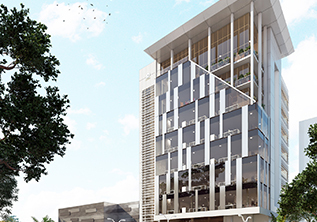 The building has a lettable office space of about 4000sqm, staff restaurant, ancillary space and ample car park provisions. 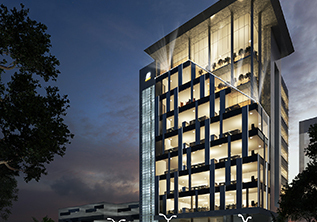 The design intent is to develop a highly function office building with a clean, modern and timeless façade achieved with the play of aluminum composite panels on the curtain wall which has a strong chamfer to give rise to the timeless use of columns to suspend the roof structure. 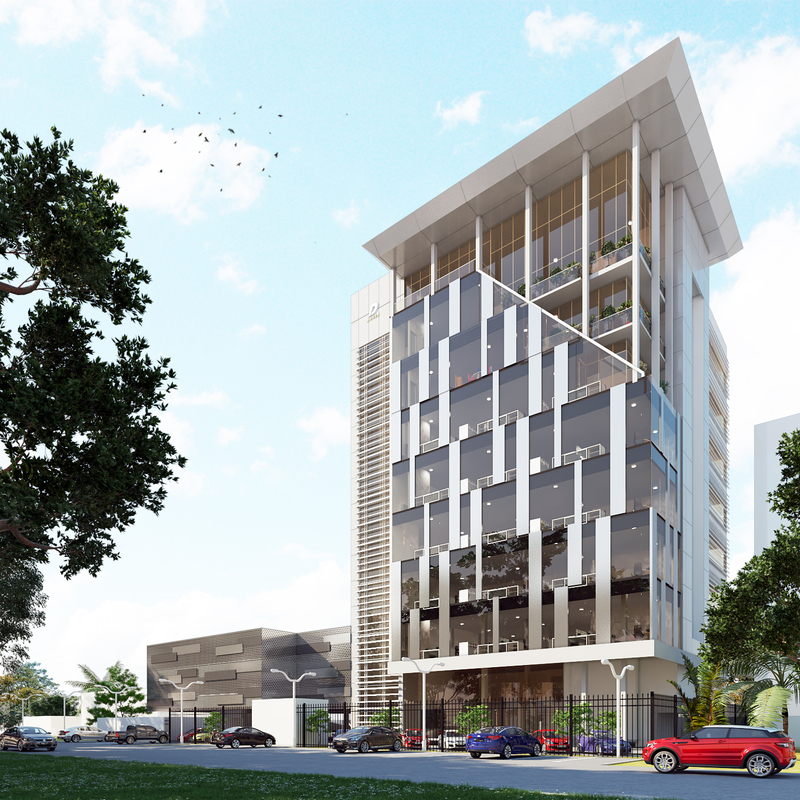 This interpenetration of these two styles of architecture from varying era of the colonial and late modern architectural style gives the building its timeless feature making it an impressive Architectural work to behold.